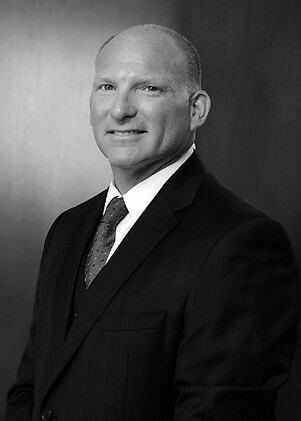 Dan Goldberg brings 23 years of experience and a deep knowledge of the hedge fund, banking, and retail industries to a trial practice focused on disputes relating to commercial contracts, financial instruments, business torts, bankruptcy, and commercial leases. His engagements, including the representation of Royal Bank of Canada in connection with the Enron bankruptcy and securities class action litigation arising from it, have taken him to trial and appellate courts throughout the nation. His work has resulted in numerous published opinions on commercial law issues, both at the federal and state court levels. Dan regularly is engaged to parachute into cases for purposes of trial or other critical phases, and to take on matters presenting particularly novel and difficult issues. Embodying Holwell Shuster & Goldberg’s commitment to courtroom prowess, on the very first day of the firm’s founding, Dan argued a summary judgment motion in an insurance broker malpractice case, and two months later was lead counsel in a trial in the Delaware Court of Chancery on behalf of a hedge fund in a breach of fiduciary duty case. Dan was named one of 30 Litigation Trailblazers by The National Law Journal in 2018. He has also been recognized by New York Super Lawyers (2010-18) as being among the top 5% of business litigators in New York, and by Benchmark Litigation as a Litigation Star. Before founding Holwell Shuster & Goldberg, Dan was a litigation partner at White & Case, and then at Kasowitz, Benson, Torres & Friedman. He is a Past Secretary to the Committee on Second Circuit Courts for the Federal Bar Council. An avid sailor, Dan currently sits on the Board of Directors of Hudson River Community Sailing, a charitable organization that helps underserved New York City youth become leaders and achieve academic success through sailing education. Affiliates of the government-owned investment fund AIMCo, and Wells Fargo Bank, N.A., as securities intermediary, in a $200 million litigation in the Southern District of New York against AXA Equitable Life Insurance Company arising out of AXA’s improper Cost of Insurance rate increase on a certain group of universal life insurance policies. Several banks in the Enron bankruptcy and the Enron class action securities cases, including Royal Bank of Canada, State Bank of India, and Bayerische Landesbank. Several securitization trustees pursuing numerous “putback” claims arising out of the 2008 financial crisis and residential mortgage- backed securities industry. Litigation trust stemming from the ChemRx bankruptcy. ChemRx once was the nation’s third largest pharmacy, and the trust is pursuing claims against former officers, directors, auditors, and the company’s founders for breach of fiduciary duty, fraudulent conveyances, and related claims. Camulos Capital, a U.S. hedge fund, in a variety of disputes, including those with a German subsidiary of Lehman Brothers over a $100 million repo agreement, a German gun manufacturer over a €100 million PIK loan, and a departing partner with respect to contract and breach of fiduciary duty claims. Caspian Capital, a U.S. hedge fund, in Delaware Chancery Court and the Delaware Supreme Court in a dispute involving the debt restructuring of the Marsico family of companies (mutual fund managers). A partner against a private equity fund arising out of the Restoration Hardware turnaround and IPO. MEGA Bloks, Inc., a Canadian toy manufacturer, in a series of litigations arising out of its acquisition of Rose Art Industries, Inc., the manufacturer of Magnetix toys. The representation included the federal trial of claims against the sellers for fraud, breach of contract, and earnout calculations. Dan also handled MEGA Bloks’ product liability defense over Magnetix, the key product acquired in the Rose Art deal, and defended MEGA Brands in a nationwide class action seeking a refund for all consumers who ever purchased Magnetix. Aeromexico, Mexico’s largest airline, in a dispute alleging breach of an aircraft lease. Republic of Croatia and several state-owned banks in a suit by Serbian-controlled entities challenging the restructuring of Yugoslavia’s national debt arising out of the country’s breakup. State of New Hampshire Department of Insurance in a case challenging the efficacy of its decisions concerning the restructuring of the Home Insurance Company. Various companies in the Eurofins group, a publicly traded French conglomerate whose subsidiaries are engaged in, among other things, the biotechnology industry. Dan has represented Eurofins entities in disputes arising out of certain acquisitions and investments in the U.S., as well as in connection with certain products liability related suits. Duane Reade, the largest retail drug store chain in the New York metropolitan area, in a wide range of cases, including class actions, disputes with pharmaceutical suppliers, commercial landlords, various vendors, and employment matters. Leonia Bank (national bank of Finland) in a breach of loan agreement case against Pentti Kouri, one of the founders of Nokia. Wilson, Elser, Moskowitz, Edelman & Dicker LLP in a dispute with several partners who departed after a change to the firms’ partnership agreement, which the departing partners claimed had the effect of dissolving the firm. Ottawa Senators Hockey Club in a dispute with its investment bankers over a claimed “success fee” for procuring financing. Neil Smith, former General Manager of the New York Rangers and New York Islanders, in his dispute with the New York Islanders arising out of his summary dismissal. The matter involved an arbitration and mediation before the Commissioner of the National Hockey League. Several matters in various bankruptcy courts around the country covering a myriad of issues, including the rejection of leases, supply agreements, lender liability, cramdown, Rule 2004 discovery, valuation, plan confirmation, and related matters.